Let’s put ourselves in the shoes of our student audience for a second! Imagine having to go through a mile-long blog post for information on a course or browse through text heavy ads for the same. With all the reading they do anyway there’s just no way they’d be interested in more. Besides, with all the engaging video posts on their social media timelines means, there’s just no way to grab their attention by giving them a ton of information to deal with! So how does one ensure all the right information is compressed into an engaging message that they don’t veer away from? 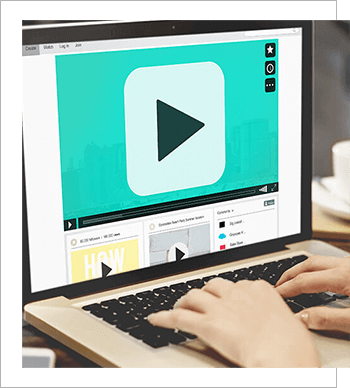 Video advertising is the answer! Video advertising is engaging and provides just information to intrigue and interact with your brand. Plus it is really simple too! IT’S ENGAGING – Over 52% of advertisers claim that online video advertising is the most successful form of advertising, especially for a young audience that is low on attention! IT’S GOT A PERSONALITY - Video advertising enables you to put your creativity on full display and shows your brand has a personality. That’s what your audience connects with, doesn’t it! 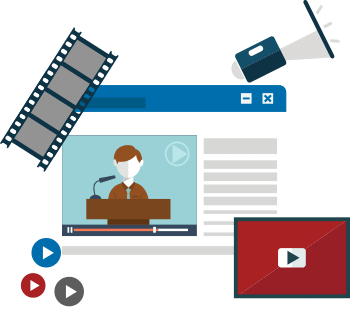 IT’S PRECISE - With video advertising it is easy to target the audience you want to interact with. You can’t have the highest average CTR of 1.8% without the right targeting can you! 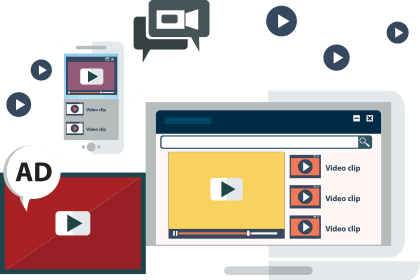 Video advertising can have you acing the competition in no time with the right video advertising agency planning and executing your campaigns. At Unipro, creativity is serious business and our design team is given breakfast cereal secretly spiked with creative juice. And don’t even get us started on how our exclusive education sector experience lets us decode your audience in ways that nobody else can! But seriously, here’s why we can help! Five years and over a hundred clients, all in the education sector! Do we still need to say that no one understands what your audience seeks more than we do!